The Pet Wiki > Pet Behavior > Is Your Pet Sometimes a Pest? 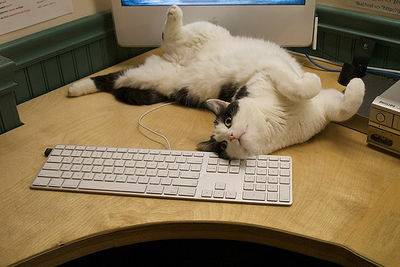 February 23, 2012 Comments Off on Is Your Pet Sometimes a Pest? Just as children need structure, so do our pets. It’s up to us as their guardians to set the rules and determine the boundaries we want to live with. Some cats and dogs appear to be more needy than others, constantly vying for our attention and affection. If we constantly give in to a pet’s demands, s/he will have no boundaries and become the dominant one in the relationship. Too little attention can lead to loud recriminations – inappropriate barking and meowing. 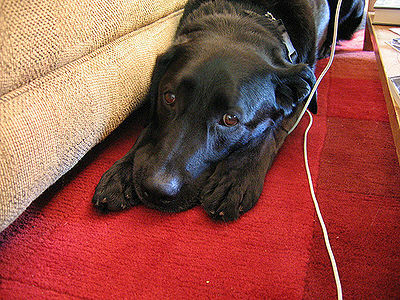 Some pets become depressed or resort to defecating or urinating in the house. Cats are usually less demanding than dogs. But many times when you want to sit and relax and have some down-time, your cat will jump onto your lap or rub up against you. Dogs will paw at you or nuzzle with their noses or jump on us. If we respond all the time to their demands, they can become dominant. Separation anxiety can be another result along with destructive behavior. It’s important to set aside time daily for your pet. Exercise, even short walks for a dog, training and play help reduce behavior problems. If you feel your pet is behaving inappropriately, try ignoring him/her. Any good behavior should be rewarded with positive reinforcement – pets, a treat or a few minutes of play. Remember that animals live in the moment, so an immediate response by you is necessary. 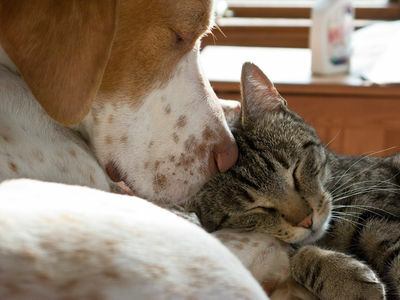 Keep in mind that dogs and cats will always respond much better to positive treatment. Harsh punishment is never an option.